Pusateri's celebrated the height of summer with customers on August 16 by holding "Al Fresco" events at both its Avenue Road store in Toronto and at its Oakville Place, location. 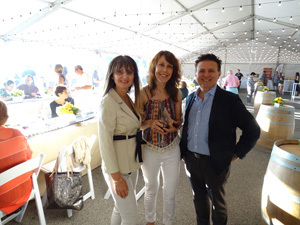 It was an opportunity for customers to enjoy Ferragosto, a traditional Italian summer celebration where guests socialize and enjoy delicious food and drink with friends and family. Pusateri’s menu included truffle-potato foccacia and lamb on a skewer, created by Pusateri's corporate chef Tony Cammalleri. All of the proceeds from the Ferragosto event will go towards supporting local communities, including the North York General Hospital and Home Suite Hope. Leya Abramson, senior marketing manager, says this is the first year Pusateri's has run the Al Fresco event and, based on feedback, the grocer will likely make it an annual event. 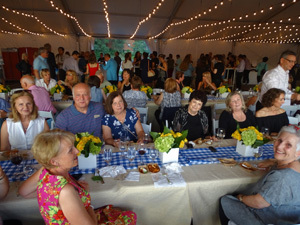 Guests enjoying Pusateri’s Ferragosto celebration.